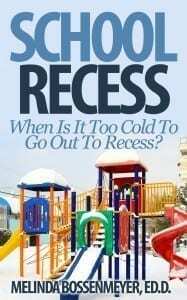 School Recess: When Is It Too Cold To Go Out To Recess? When the weather outside is frightful school recess on the playground may not be delightful. Just ask any playground supervisor. 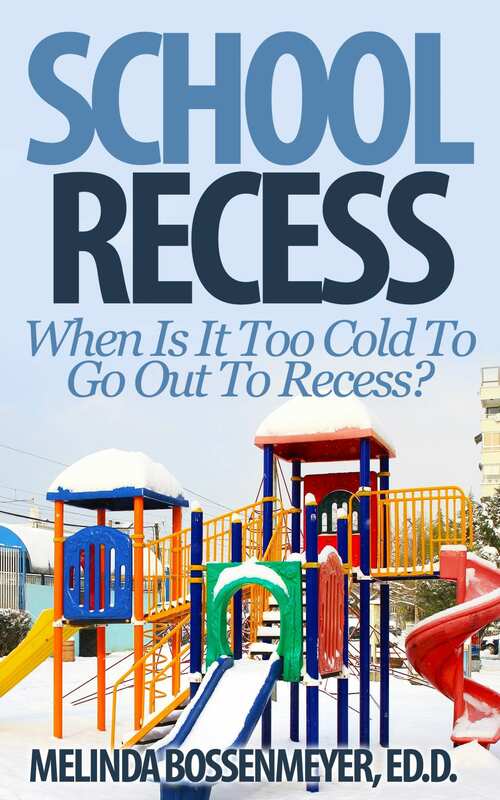 Outdoor recess, however, is a reality and daily decisions about “how cold is too cold” is something site principals, teachers, and day care directors will be making during the winter months. Snow, wind and icy conditions make deciding when to let kids go out and play a difficult decision. According to the Department of Education, there isn’t a national standard for keeping kids indoors for school recess. Consequently, site principals often make this decision based on local situations. In Southern CA where I worked at a principal, cold is rarely, (if ever) an issue. Generally, students could go outside nearly every day except for when it rains. But in Northern California at Tahoe Truckee Unified School District, they face snow storms and icy conditions frequently like many other mountain areas across the nation. So a temperature standard would not make sense for both these areas even though they are within the same state. 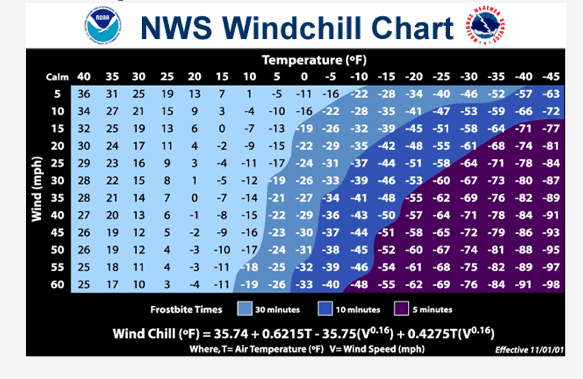 When making the decision to go outside for recess school officials need to consider many factors and one of the most influential is the wind chill factor that drives many decisions. Temperature is another factor that in some cases generates an end to the discussion because in some places when the thermometer hits a certain number there is a district policy that takes over. This is typically affected by local weather conditions. For example, in Southern CA children typically do not bring gloves, layered clothing, hats etc to school to wear at recess. A cold day below 50 would probably generate a long hard look at “sending children outdoors” basically because the temperature rarely drops that low and because children do not come to schools with warm snow type coats and hats. On the other hand, in MN many schools report sending children out doors until the temperature reaches 32 degrees because parents send children expecting them to go outside at recess and dress kids warmly in the winter. Minnesota children generally arrive at school prepared for cold weather and most dress appropriately. Tips for teachers to beat the cold and keep kids safe. Plan outdoor time for the warmest part of the day. You may decide to skip morning recess but add in an afternoon one as the temperature warms up. 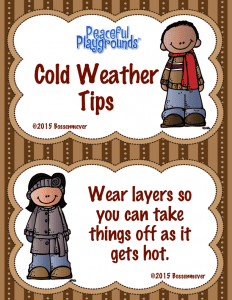 Have students dress in layers. For example, ask parents to send students in a heavy coat for the morning with a windbreaker underneath. In cold climates y, u may want to leave open the option for parents to leave a pair of gloves and hat at school “just in case” they might be needed. Shorten actual time outdoors recess. Because it takes a long time for students to get on coats, hats, gloves to go outside for recess many teachers find that shortening outdoor recess time on really cold days is appropriate. Need assistance with recess? We’ve got answers and products to assist you. If you expect frostbite call 911 and wrap a child in a warm blanket and give a child something warm to drink. A way to avoid hypothermia is to bundle up, layer clothing, and dress a child in a long sleeve shirt with a sweatshirt or lightweight jacket. On especially cold days when it is likely students will go out to recess, it is wise to send warm gloves, extra socks, outer layer jacket or coat type windbreaker and wet-resistant clothing. Whether winter brings severe storms, light dustings or just cold temperatures, the American Academy of Pediatrics (AAP) has some valuable tips on how to keep your children safe and warm. Please feel free to excerpt these tips or use them in their entirety for any print or broadcast story, with acknowledgment of the source. Dr. Tony Pangan, a pediatrician at Loyola University School of Medicine, points out that kids love to be outside but they are more vulnerable to cold weather than adults. 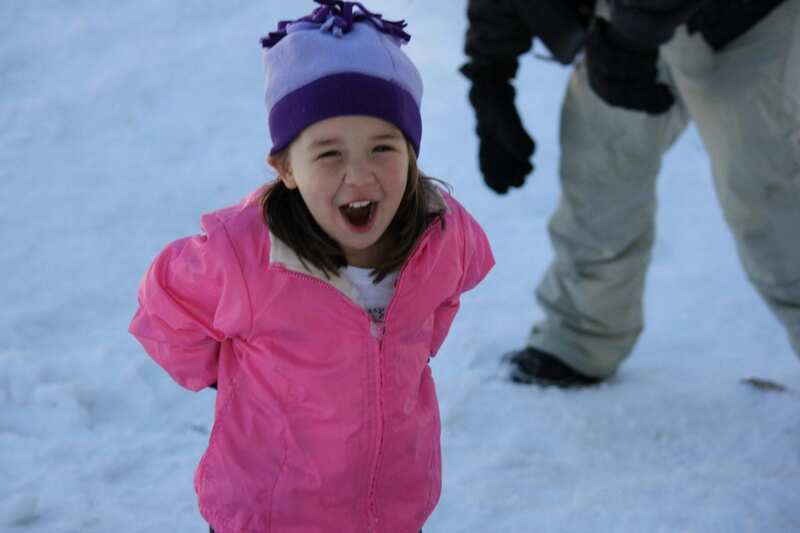 She points out that winter is a great time to get outside and have fun. But she warns, “Children are not small adults.” They have fewer energy reserves than adults. 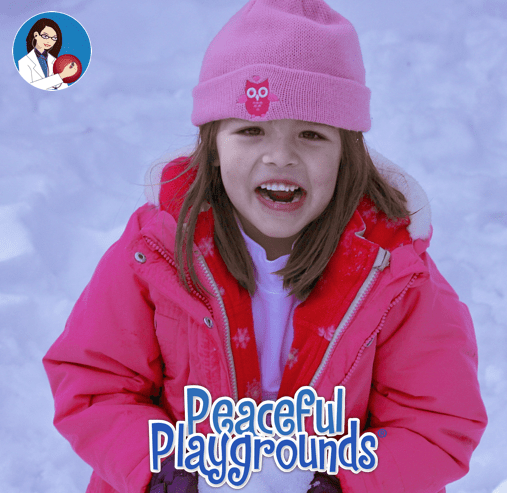 Children respond differently to the elements than adults so extra care in preparing, with the proper clothing and accessories, is a must for safe play on cold days at recess. * Note: Hypothermia happens when the body’s heat loss exceeds the body’s heat production. With mild hypothermia, the body’s core temperature drops from a healthy 37 degrees C. to 32-35 C.
 Tips to keep kids safe while playing outside in the cold. Medical Net News. Jan 13, 2013. CDC’s Tips for when it’s cold outside. Keeping Cool at School: When is it too hot for recess? 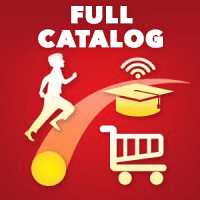 By Zia Bossenmeyer|2018-11-20T12:06:02-07:00February 16th, 2013|Featured Articles, Recess|Comments Off on School Recess: When Is It Too Cold To Go Out To Recess?